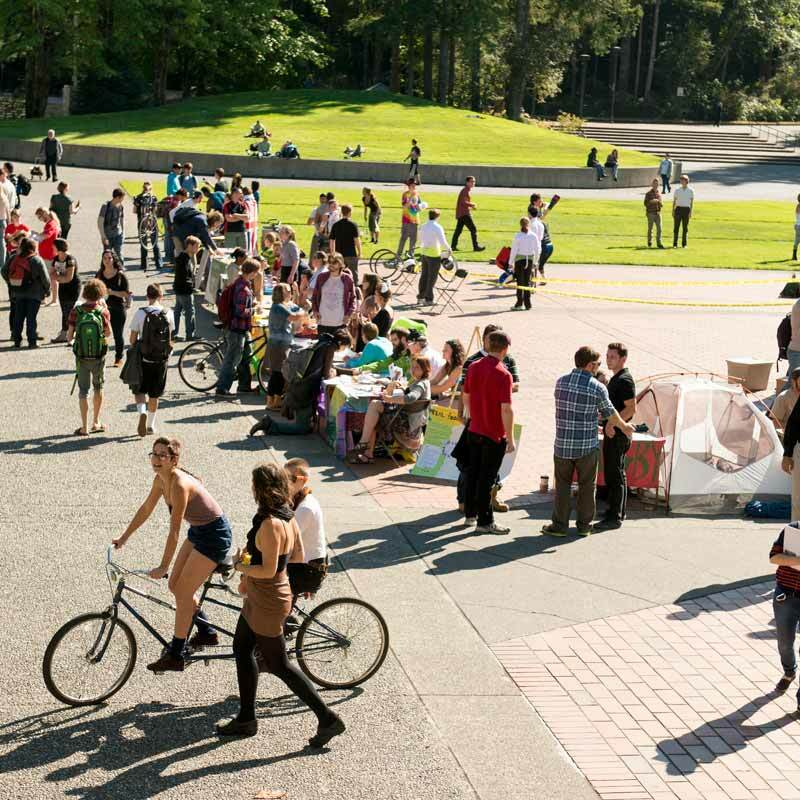 Official student groups at Evergreen are called Registered Student Organizations (RSO). It’s easy to get started with a new group or re-register your current group. Circus Resurgence is an inclusive student group devoted to the practice of circus arts. Why Register Your Student Group? * You must apply separately for funding or stipends, get training in budgeting, and fill out paperwork. We'll help you figure it out. Find at least three more people. Sign up for a training workshop. Almost any subject or pastime that brings people together can be the seed of a great student group: hobbies, academic subjects, communities, issues, or politics. If your idea involves recreational sports or other athletic equipment, contact the CRC about sports and recreation clubs. Call, email, or drop in at Student Activities to talk to an activities advisor. You'll have a chance to talk about your ideas and goals. Our advisors will make sure your idea for a group is a good fit, or help you figure out some other way to realize your vision. Evergreen Shellfish Club provides a hands-on and educational experience through shellfish aquaculture for the Evergreen community. A new student group needs at least four people. Congratulations, you already have the first person! If you already have at least three other people, then you're ready to go to the next step. If you don't have four people yet, it's a good chance to get started getting the word out. Try connecting with like-minded students on Greener Commons or Facebook. Put up fliers. An advisor can also help you set up and promote an interest meeting. Once you’ve recruited three more people for your group, you're ready to get trained and registered. All four people will need to go to the Registration Workshop, a one-hour workshop to introduce you to the rules & resources for student groups. At the workshop, you will learn about the resources available on campus, how to build your group base, how to plan an event on campus, and how to apply for funds. You will also complete a registration packet as a group, to tell us what you are all about. Sign up for one of the workshops at the front desk in Student Activities. Sign up closes three hours before the start of the workshop, so plan ahead. You have your group's founding members, and you've been registered and trained. Now you're ready to do what your group is all about. Check out all the resources for running and sustaining your group.